How much do you know about our solar system? There are so many wonderful features out in space to explore. Check out a planet, take a trip to the Sun, or discover the difference between an asteroid and a meteorite. There's so much to explore at Kid'sAstronomy.com! 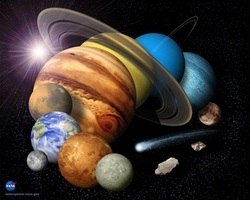 Compare the size of different planets by clicking Planet Sizes, jet from one planet to another through Solar System Scope, and read about the many different planets while comparing and contrasting their many attributes at Guide to the Planets. Can you hop from one constellation to another with your eyes looking up at the night time sky? If not, try out some constellation location tricks presented at A Short Guide to Star Hopping. Why not dance and sing along as you learn the names of the constellations? Check out the Constellation Jig and some other astronomy songs. 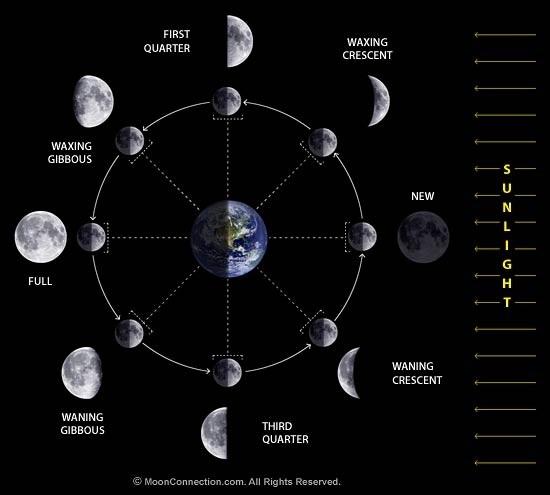 What is a lunar eclipse? What is a solar eclipse? Learn about these two amazing attractions we can see here on Earth because of the movements of celestial objects in outer space! 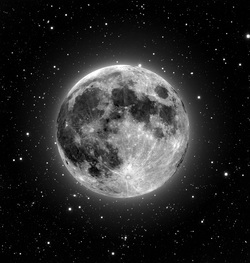 Click on Moon Shadow to find out more!